MONTREAL - Canada's telecom regulator has directed Quebecor to continue providing its TVA Sports signal to Bell TV subscribers. The Canadian Radio-television and Telecommunications Commission also warned Wednesday that it is "ready to use the means at its disposal to enforce its regulations," which means that it could attach an order under Section 12 of the Broadcasting Act. 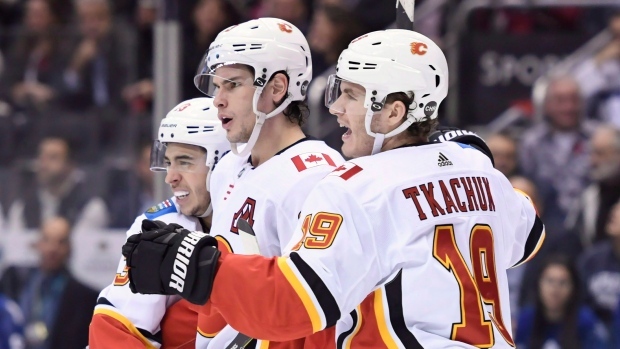 Quebecor, which has called for higher rates from Bell for specialty channels, has threatened to scramble the signal of its French-language TVA Sports to Bell TV subscribers starting with Wednesday's opening of the National Hockey League's playoffs. In a binding decision, the CRTC reiterated that the regulations provide that in the event of a dispute, programming must continue to be distributed at the same rates and terms. In a letter sent to the parties, CRTC secretary general Claude Doucet urged the two companies to resolve their dispute as quickly as possible, pointing out that the CRTC could decide the matter at the request of one of the parties. Bell filed a request for arbitration with the CRTC on Wednesday morning. BNN Bloomberg is a division of Bell Media, which is owned by BCE.